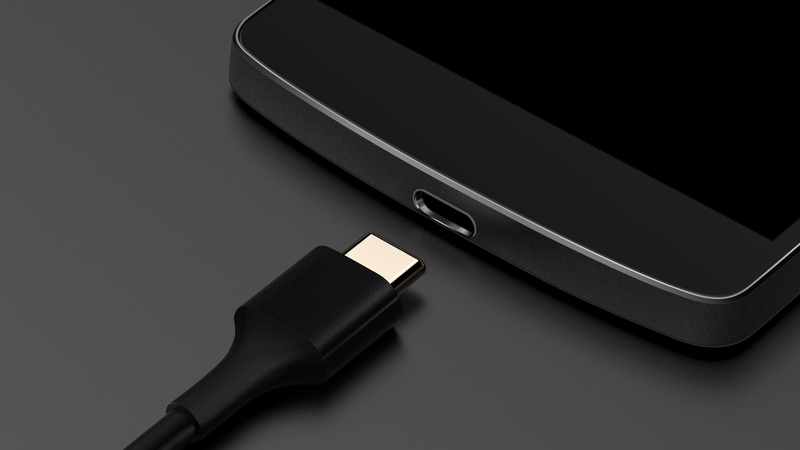 In the continuing war against bad USB Type-C cables, the USB Implementers Forum, USB-IF for short - no, there's not a USB-ELSE - has announced USB PD 3.0, which includes a new Authentication program, meaning there is even less chance a bad cable will damage your devices. 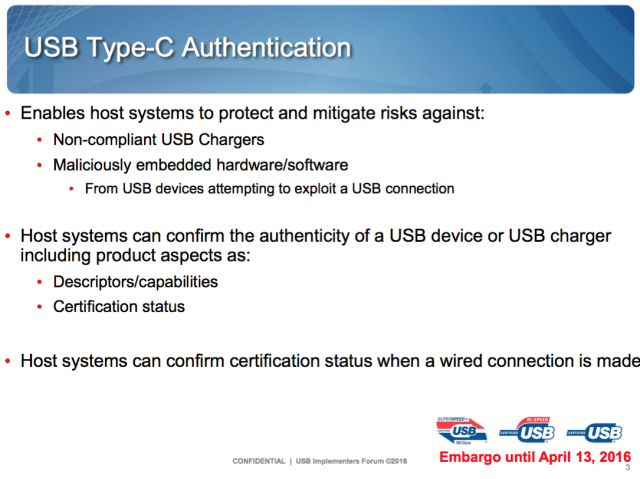 Type-C Authentication means that any cable that is plugged in automatically authenticates itself with the other device (such as a phone, tablet, or laptop), before any data or power is transferred between the two, causing the host device to verify the cable has been fully verified by the USB-IF and is safe to use. The information will use 128-bit encrypted communication between the cable and the device, and the specification is designed to work even if only power is being drawn from the cable, and not data. This should defend vulnerable USB-C-enabled devices from cables that do not have the correct resistor, which causes devices to be literally fried. Benson Leung, the Google employee testing USB-C cables and reviewing them on Amazon, had his personal Chromebook Pixel irreversibly broken after testing a particularly bad Type-C cable. Ars Technica reports that current USB-C devices, such as the Nexus 6P, 2015 Chromebook Pixel, and the HTC 10, may be able to get software updates to enable the new authentication program, but obviously older USB-C cables cannot be updated, which means those cables and other accessories would need to be replaced.